Viva Las Vegas #20 | It's In The Bag! That's right! 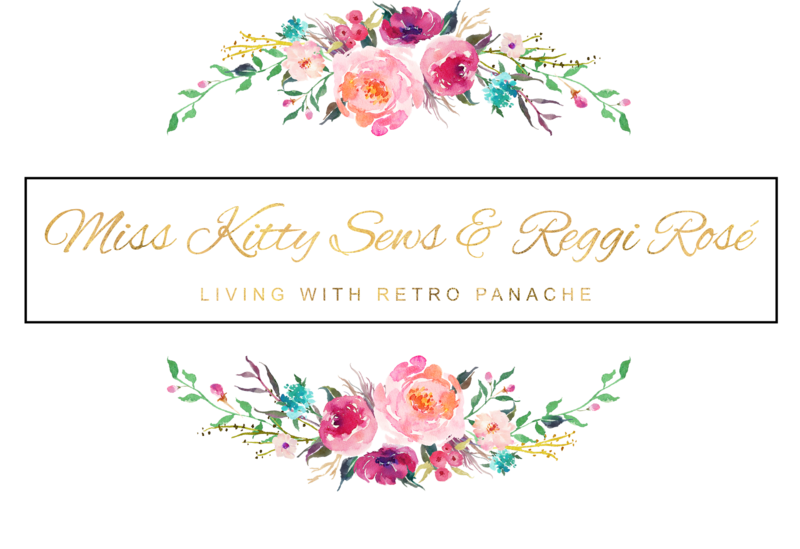 Miss Kitty and Reggi are going to VLV #20!! 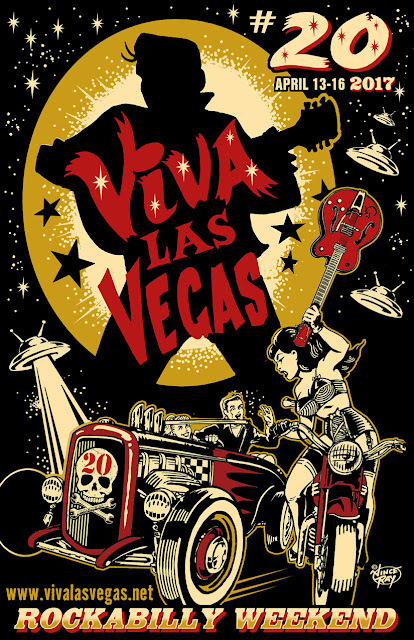 This is our very first VLV Rockabilly Weekend experience... and we're all sorts of excited for it! We decided to take the leap and buy tickets last March, nearly a year ago... we'd wanted to go in the past but couldn't justify the costs with everything else going on. But, with it being the 20th anniversary, we knew this year's would be a big celebration... so, we decided to make the commitment and go. We are so glad that we did! With just a few months left, the excitement is building higher and higher! We'll be staying at The Gold Coast Hotel (The Orleans Hotel, where the event is held, sold out before tickets were even available for VLV #20! ); though, we're hoping to make it into The Orleans as the event date nears. We'll be joined by our lovely friend, Sarah... this is her first vacation that involves a flight! It'll be a bunch of firsts for us all! Who else is going to VLV #20?? We're looking forward to meeting a lot of our readers and fellow bloggers there! In fact, it would amazing to have a meetup while there! Maybe over drinks, or, even at an event. What do you think? We'll post more information about this possibility should anything develop. In addition to the events at VLV #20, we're also going to tour Las Vegas. It's been years since we were last there, and a lot has changed! From what we're told, it's no longer a place for families (with yummy inexpensive buffets and inexpensive hotel rooms); now, it's more like the classic "Sin City", 100% geared towards adults and adults-only entertainment. Though we're excited for fewer kids/kid attractions, we were a bit bummed to learn that the delicious buffets are now quite pricey. We'll be hitting up the new strip and the old strip, antique stores, and a show or two (... one show includes a few "Magic"-al men... hehe). We're also planning a couple photoshoots. Needless to say, this is going to be one amazing vacation! Let us know if you'll be there and if you're interested in a meetup!